When Mama beat the odds and outlived the terminal prognosis of her extremely rare brain cancer, we celebrated. Last year, we did it again. This summer will mark Mama’s miraculous 7th year since diagnosis — an occasion we’ll drink to with our nearest and dearest in our garden oasis! I designed a few versions of the invite, but tonight Mama and I selected the winner. 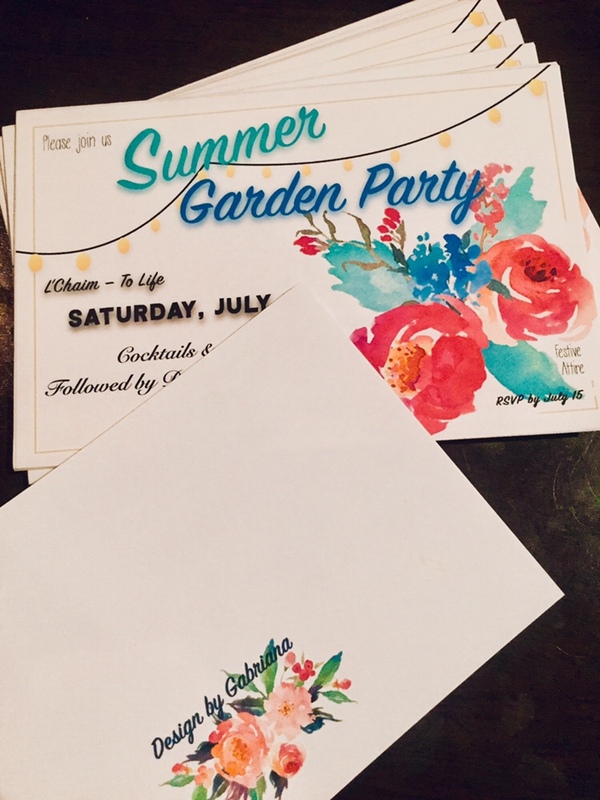 Today’s #OneGoodThing was finishing the design, print, and cut job on our Summer Garden Party invitations! Day 135 of 365. And Day 866 in a row (here’s the first 366 & the following 365)!